Stanley Hill looked around the Hynes Athletics Center and smiled. On the visitor’s bench was Fairfield University’s men’s basketball coach Sydney Johnson. 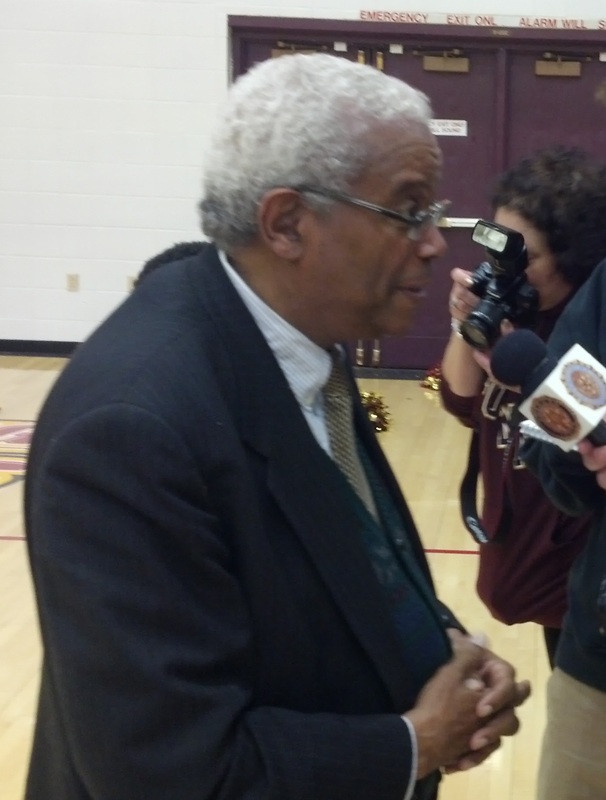 At the scorer’s table was Iona College athletics director Eugene Marshall, Jr. Both men are black. The Iona and Fairfield rosters, like so many others, are filled with black student-athletes. Hill, more so than most, notices. A lot has changed since he played college basketball. Hill, a 1959 Iona graduate, was in New Rochelle last Friday night to accept the inaugural Trailblazer Award, named after him. At halftime of the Feb. 24 Iona-Fairfield game, he spoke about The Game That Never Was and why Iona was a special place. In 2001, when Iona was matched-up with Mississippi in the first round of the NCAA Tournament, stories about the 1957 incident appeared in a few newspapers. As a result, the Governor of Mississippi and the Chancellor of Ole Miss learned about the dark hour in the school’s history. The two men, hoping to at least partially right the wrong of their predecessors, invited Hill and his wife, as guests of the state of Mississippi, to attend the game in Kansas City. Sports have often been a vehicle for change in society, and Hill’s story is yet another example. For decades, Hill served as the director of the largest labor union in New York City, fighting for equal rights. “I always kept it in my mind,” Hill says of the ’57 incident. “In my field of labor, I always remembered to respect everybody.” While it took 44 years, at least two Mississippians did their best to do the same.